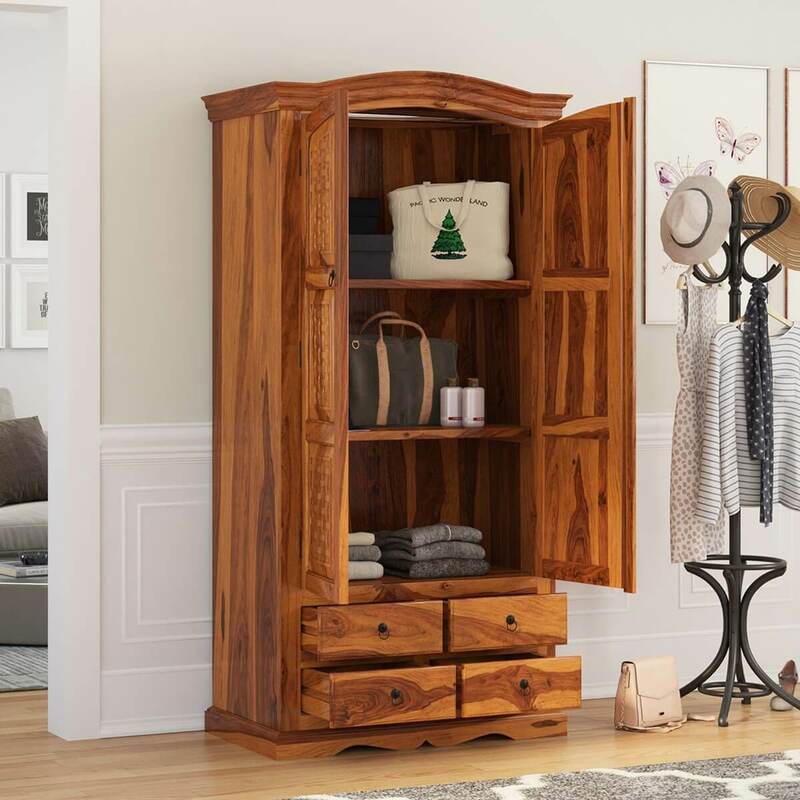 Our grand Crawford Rustic Solid Wood Wardrobe Armoire With Shelves & Drawers is a wonderful unit, big enough to use as a closet. 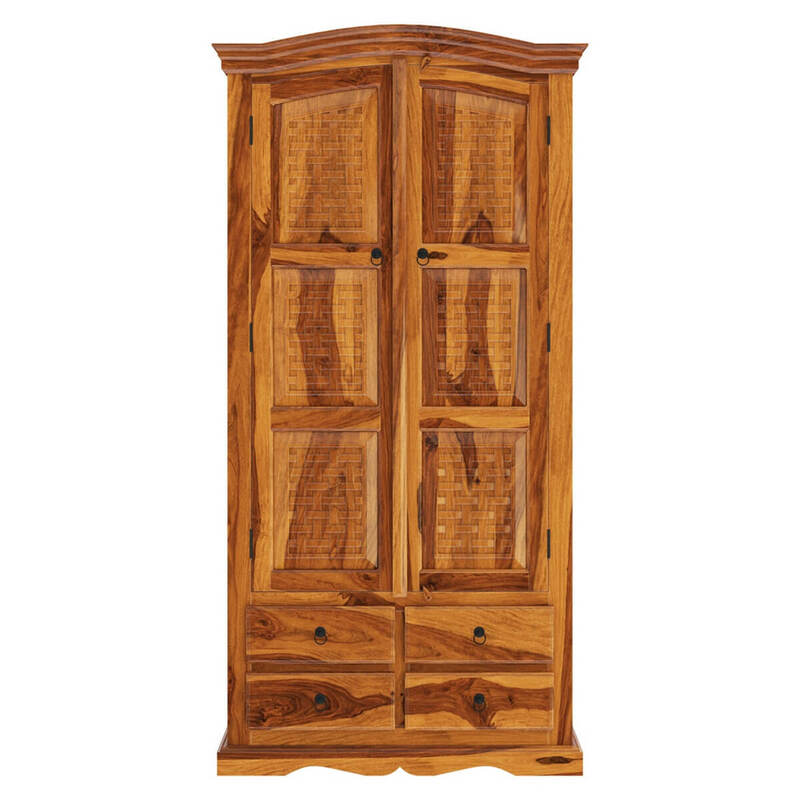 The Crawford wardrobe armoire looks great with hand carved lattice design on its doors giving it an extremely unique look. 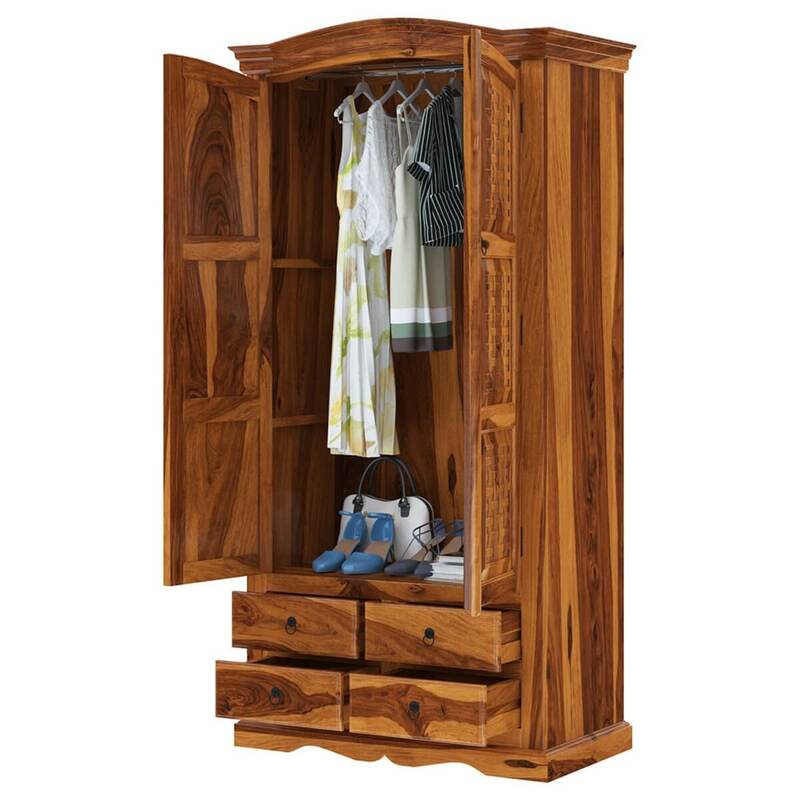 It has a large wardrobe compartment with a hanging rod that allows you to keep you neatly organized. 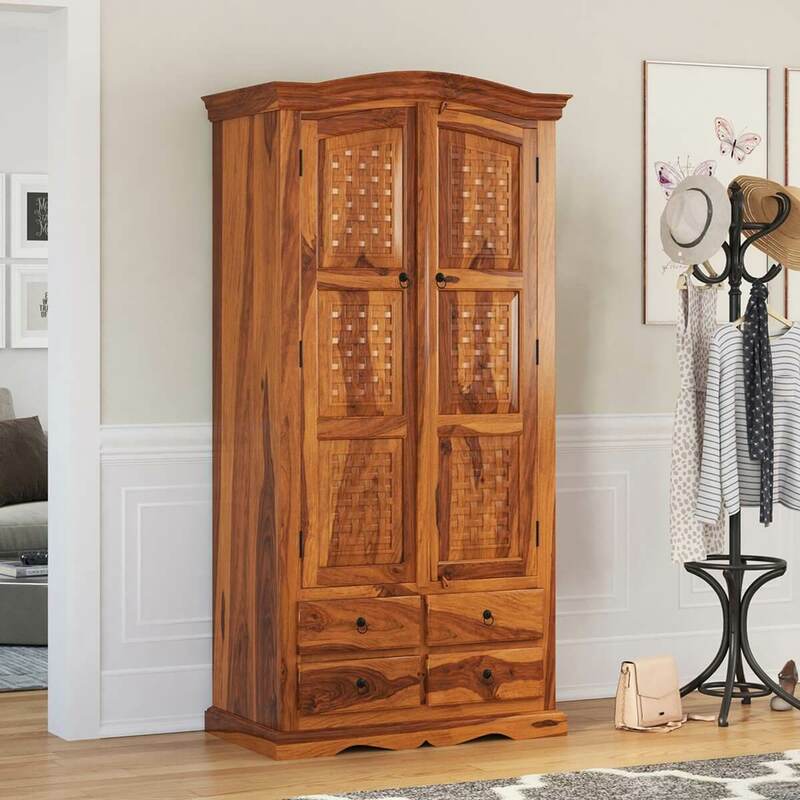 The most wonderful part is that the large armoire also comes with 2 removable shelves, which transforms this wardrobe armoire into a spacious tall storage cabinet in no time. 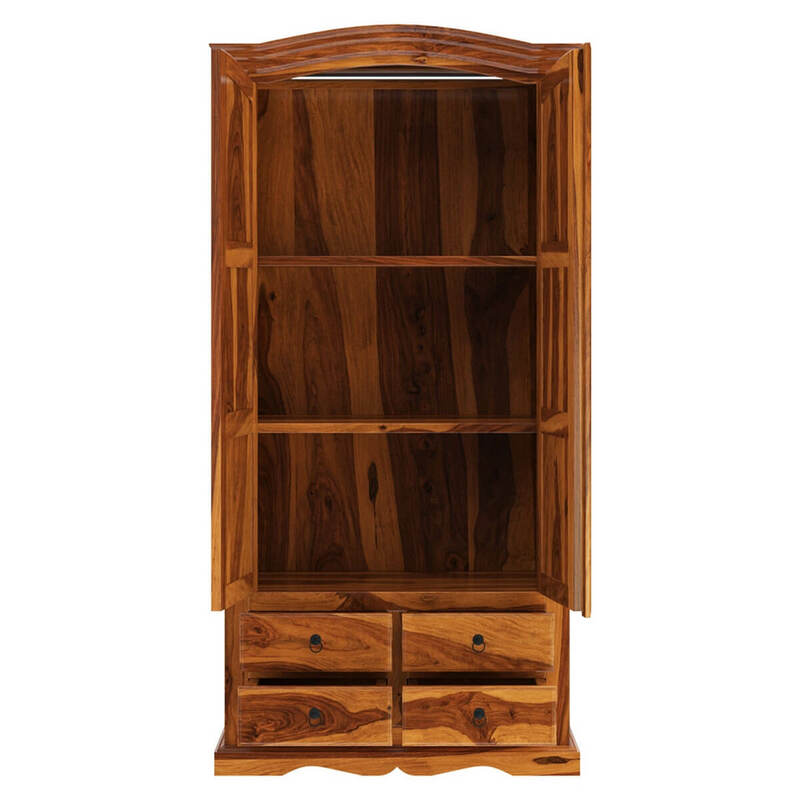 The three large shelves can be used for storing larger items such as blankets and pillows. 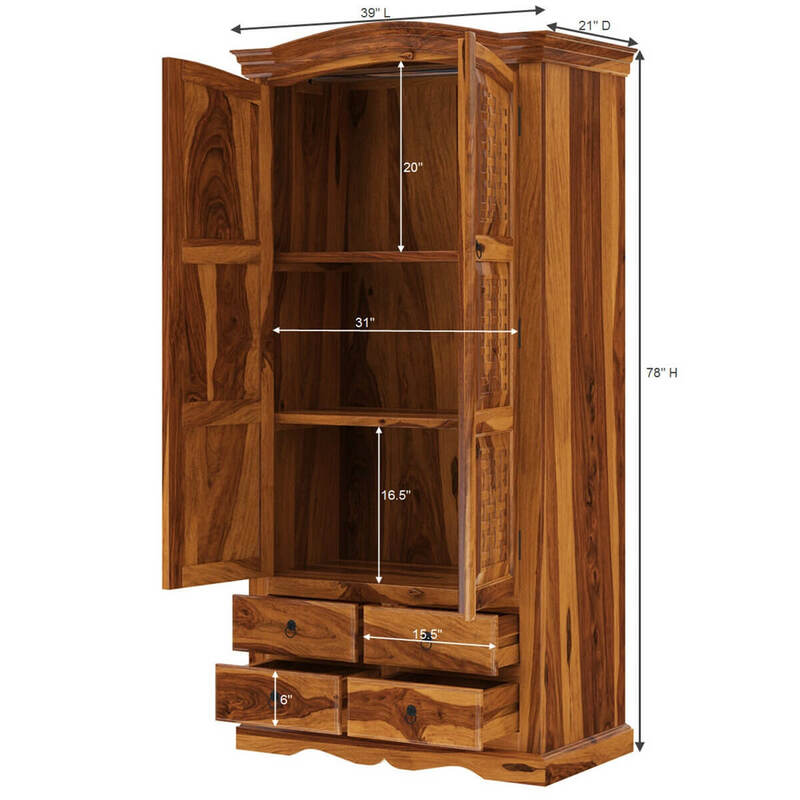 The four drawers at the bottom of the unit can be utilized for storing smaller items. 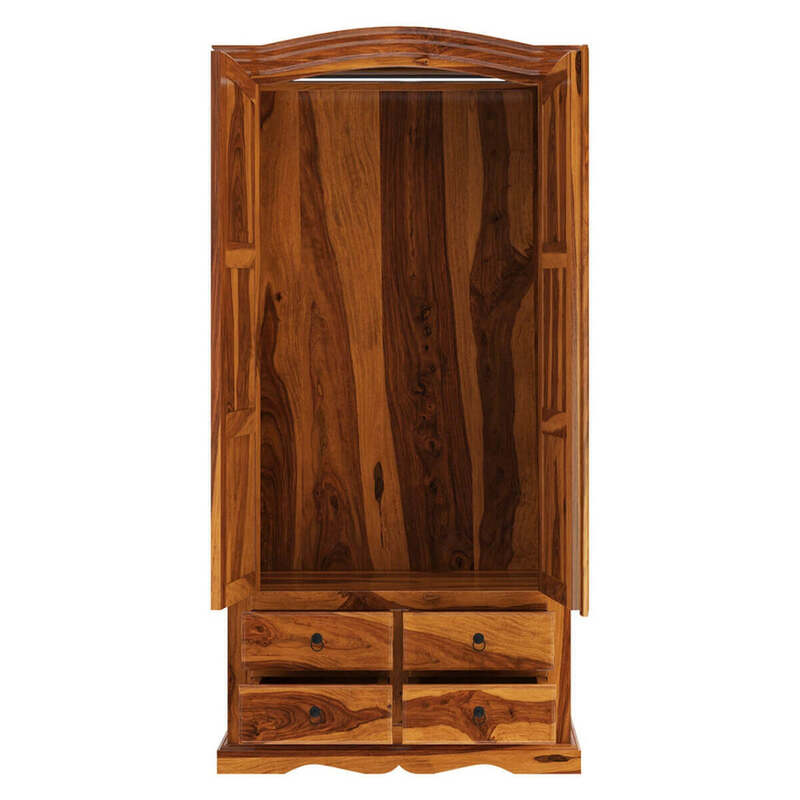 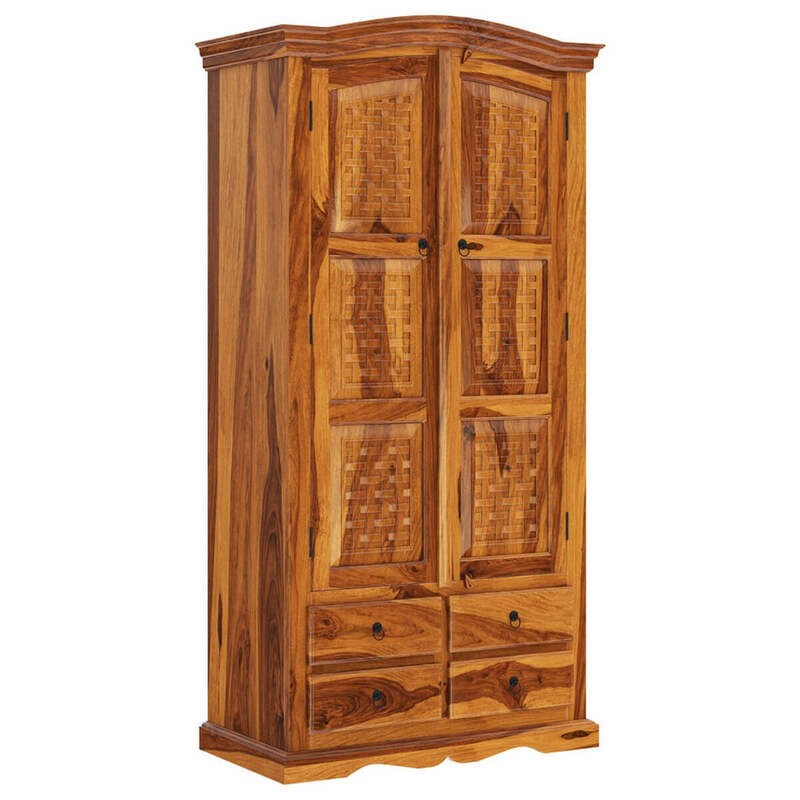 The Crawford wardrobe armoire is entirely handmade from solid Rosewood that has been properly treated and seasoned for a long lasting natural wood finish. 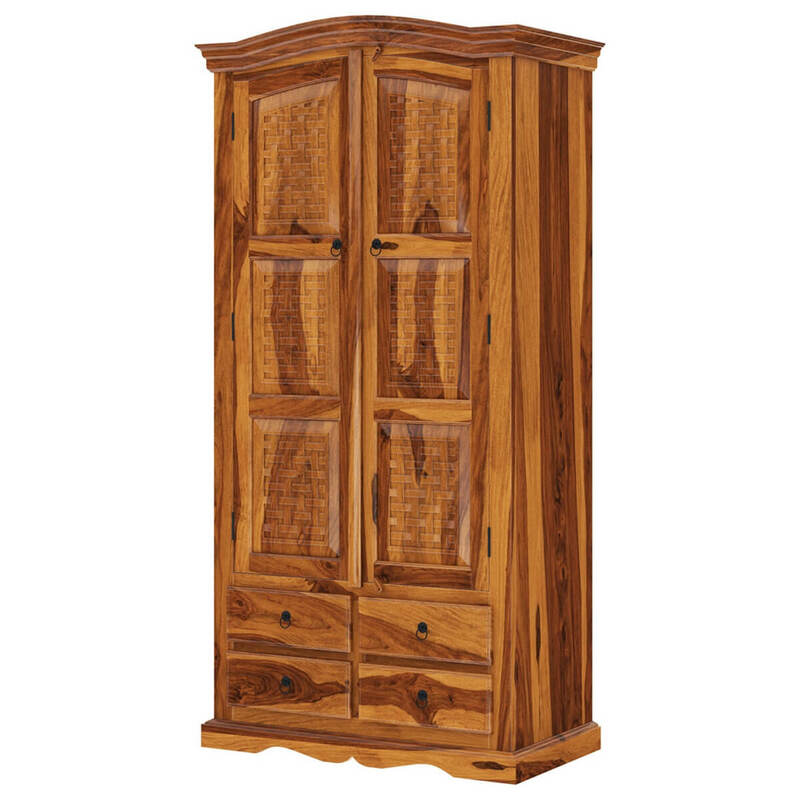 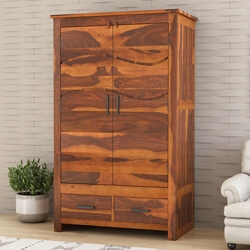 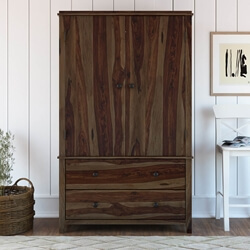 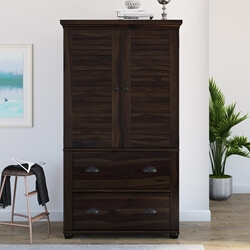 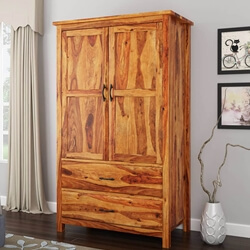 The Crawford solid wood rustic armoire is a wonderful addition to your master bedroom or guest room upping not just the storage but adding a gracious design element.